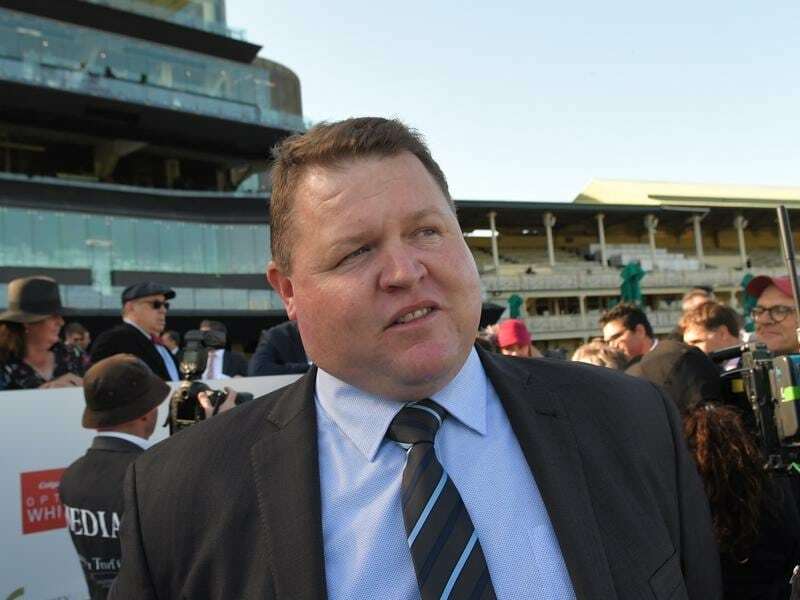 Brisbane trainer Steve O’Dea has had a day out at Randwick, celebrating a winning double including Sesar’s Group Two victory in the Roman Consul Stakes. O’Dea had not trained a Sydney winner until Saturday when Doubt Defying set the tone in a 1400m-benchmark handicap before his half-brother Sesar took out the Roman Consul (1200m). Sesar ($7.50) gave his trainer a few anxious moments when he was last early before Jason Collett steered him along the rail for a dominant 1-1/4 length win over the favourite Sandbar ($3.70). “It really is satisfying to get this colt to come here first up as a three-year-old,” O’Dea said. “He showed so much raw ability last prep. To go on and do what he’s done today is great. “I was worried in the first half of the race when he was off the bridle chasing. “He was starting to struggle coming to the turn, but the run came on the fence and there was plenty of room there. O’Dea said Sesar would now head to Melbourne for the Gothic Stakes over 1400m at Caulfield before the Carbine Club Stakes over 1600m at Flemington. He may well have a travelling companion with Doubt Defying earning his keep. “He was the companion for the other one but I knew he would appreciate the big track here at Randwick,” O’Dea said. “He is a big striding horse who builds through his gears. “He has won on soft tracks but hadn’t been on a heavy before so it was a good effort. Doubt Defying is raced by Aquis Farm while Sesar is owned by a Proven Thoroughbreds syndicate run by Jamie Walter. “Jamie had seen Sesar at the sales and knew I had an opinion of Doubt Defying but he had some conformation issues,” O’Dea said.